Lu, Tung-pin, Iron Crutch Li, and He, Xian-gu were the names of these great sages. 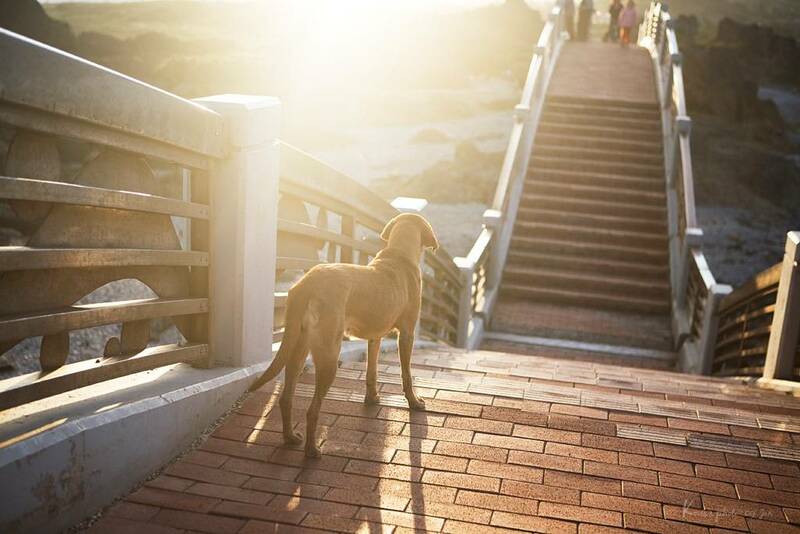 After they had taken their rest they left three footprints. 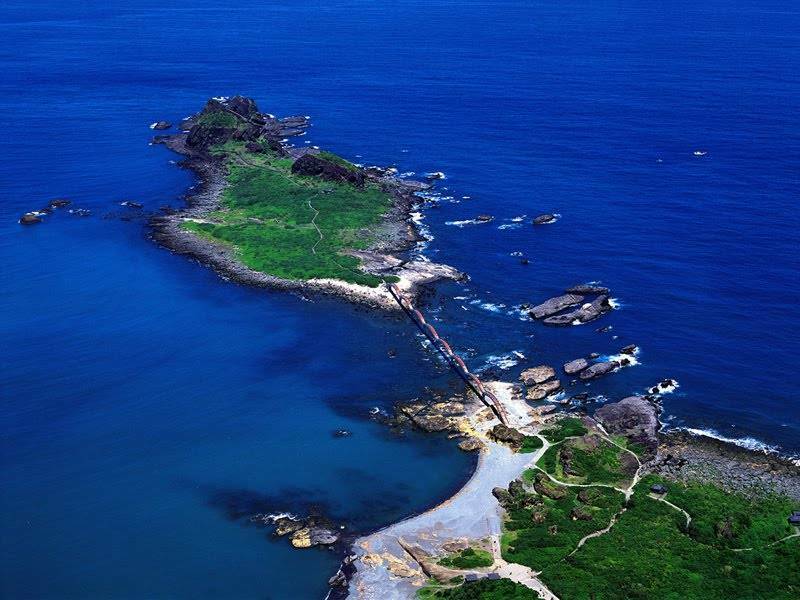 These are the three massive rocks dominate the small uninhabited island. 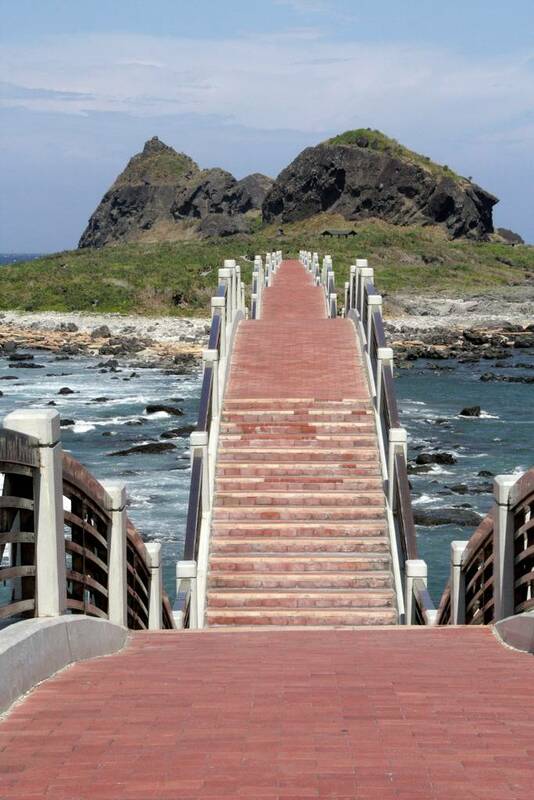 The island was once connected by a neck of land to the rest of Taiwan but over the millennia this wore away. 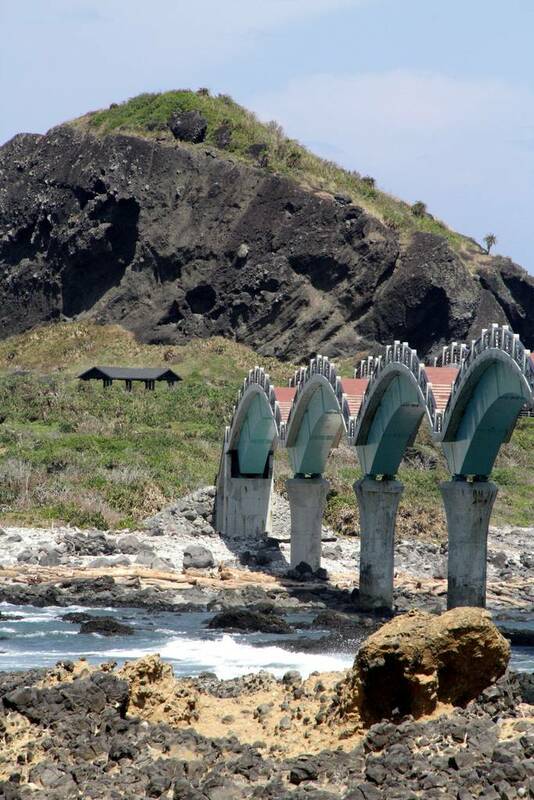 The striking arched bridge that connects the island to the mainland is not, however, as old as you might think. 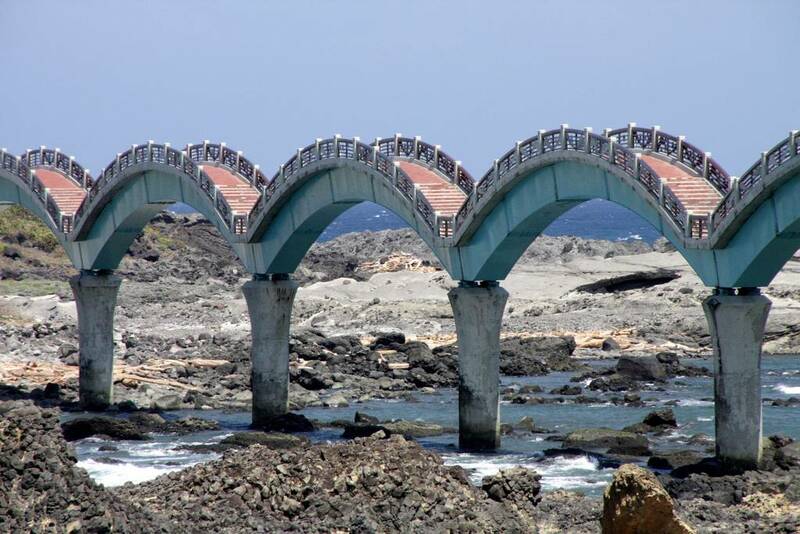 It was built in 1987 – before that anyone without a boat wishing to visit the island had to wait till low tide and wade over. 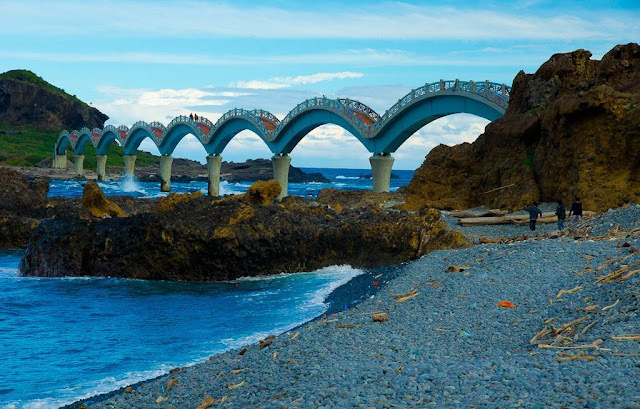 The bridge’s eight arches, gently undulating, capture the rhythm of a Chinese dragon as it traverses the space between land and island. 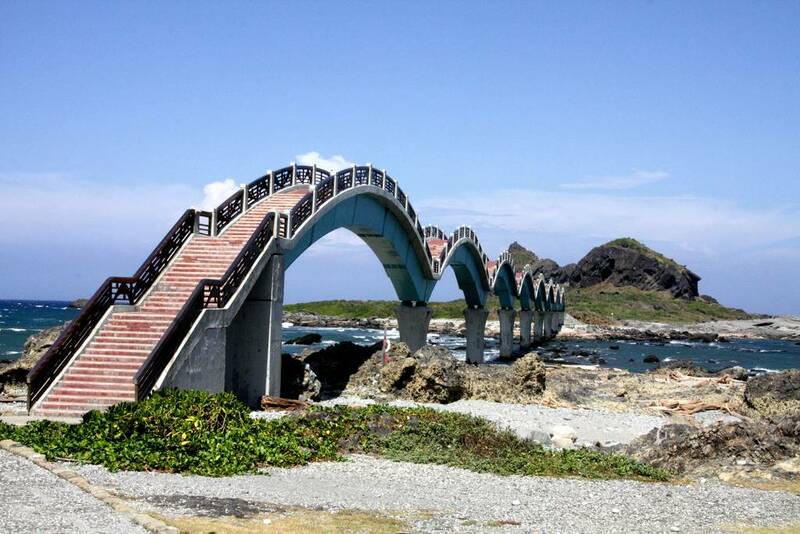 It is known locally as The Eight Leaped Bridge. 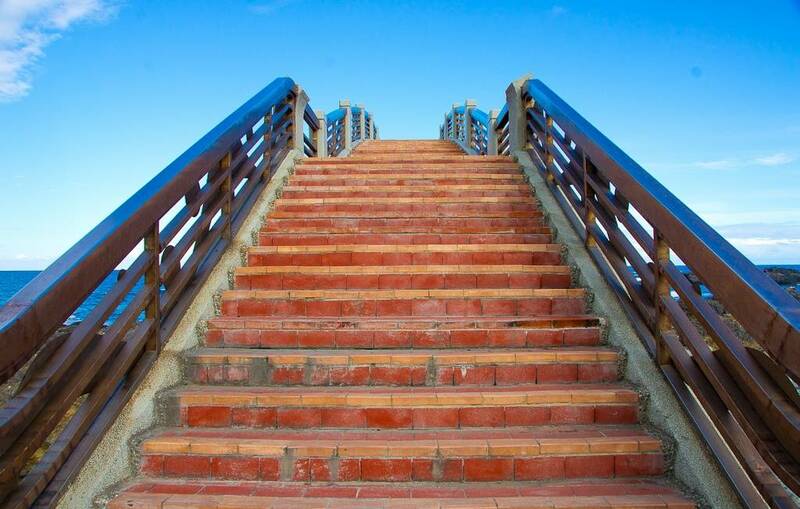 It is reminiscent of the architecture of ancient Chinese temples, indicating that this is a place which should be revered by those who visit. 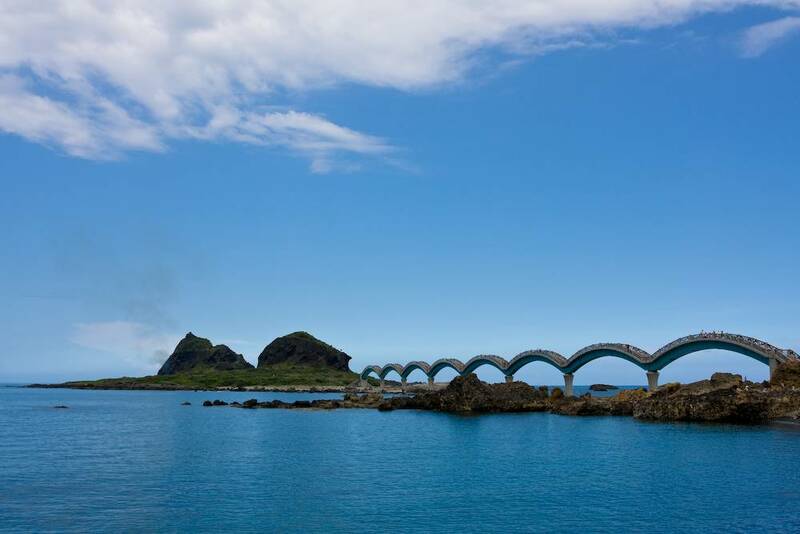 The bridge and island are locally very famous and many tourists come to take in the views and enjoy the pristine natural surroundings. 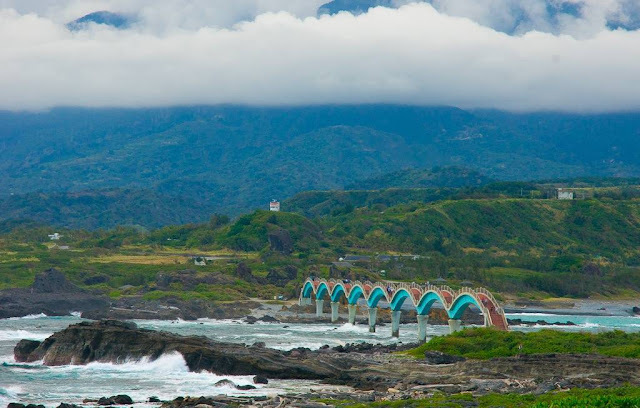 However, situated in the relatively isolate county of Taitung (which has a population of little more than a quarter of a million), the place is never overwhelmed with visitors. 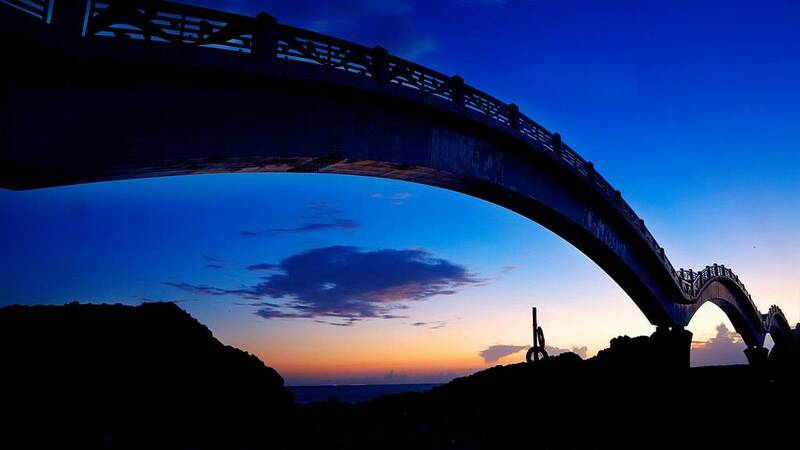 Although Taiwan’s twenty two million people are predominantly Han Chinese the area around Sansiantai is home to good sized communities of two aboriginal peoples known as the Amis and the Yami but with others from the remaining 12 happily mingling in as well. 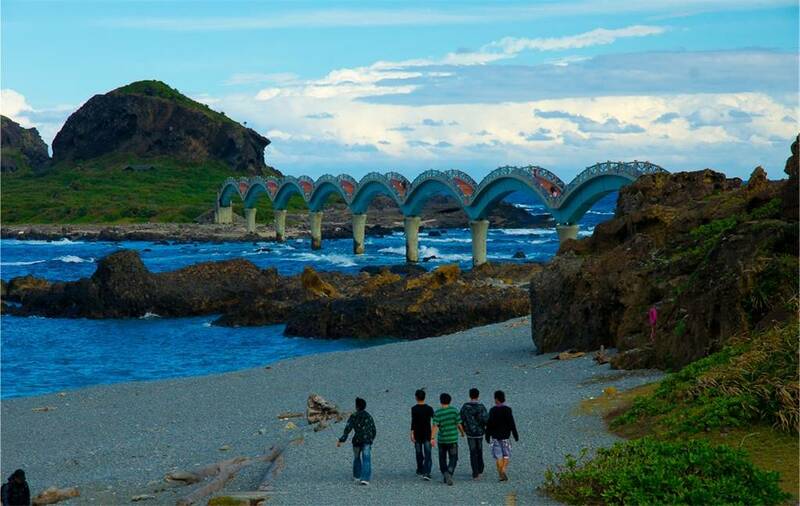 Although it looks idyllic, this area of Taiwan is known for its typhoons and high winds. 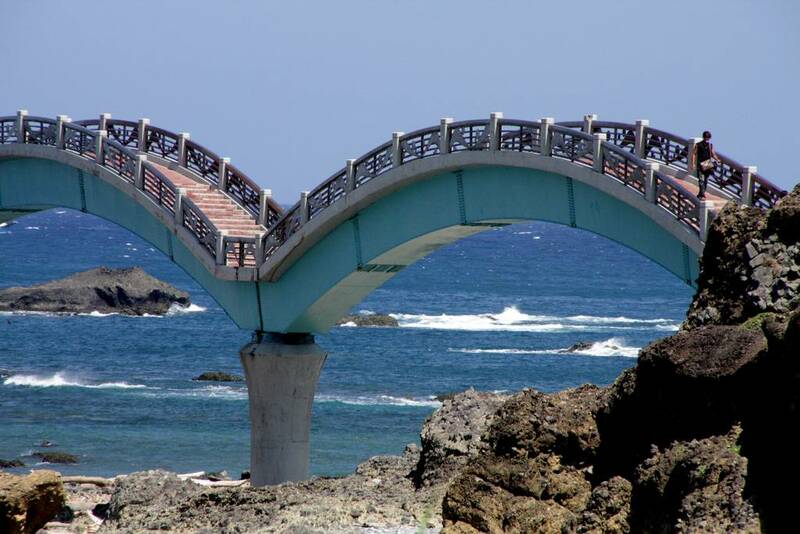 As the bridge is truly exposed to the elements so too are those upon it. 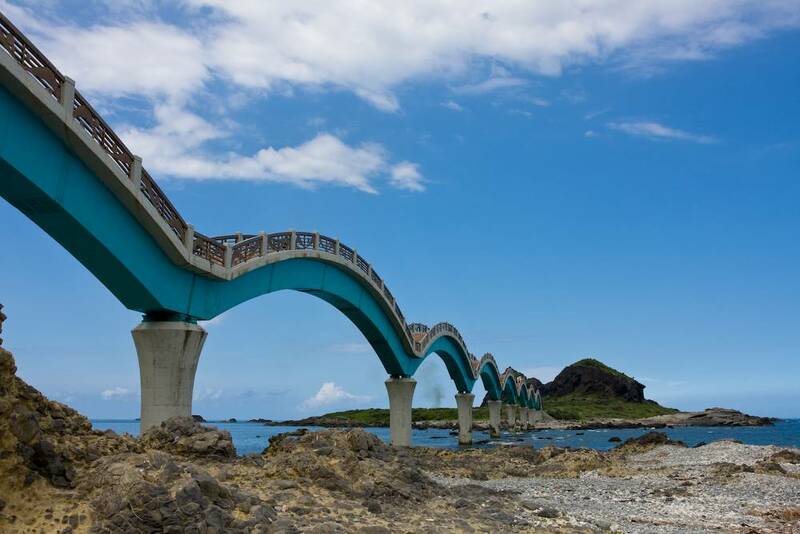 Often the winds can be so harsh that people err on the side of caution and chose not to cross the bridge, rather than risk being blown over its side. 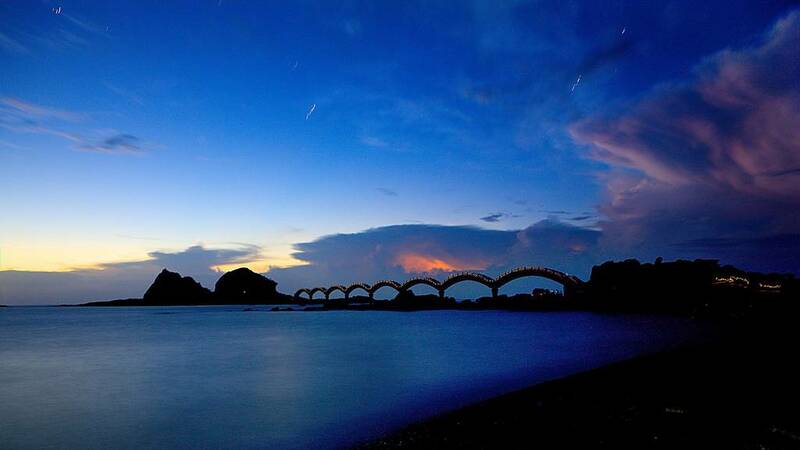 Despite the occasional typhoon, Sansiantai is famed and praised for its azure seas and rich, diverse wildlife. 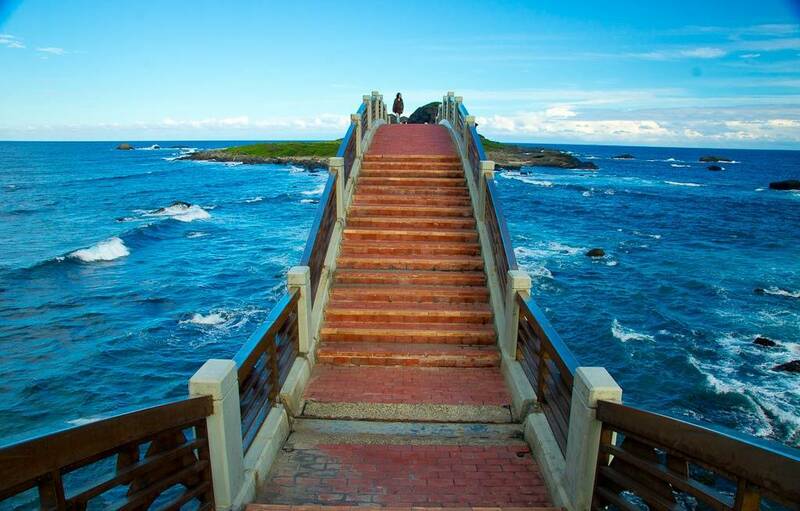 Little wonder it is known as Taiwan’s Last Paradise.